Buses don’t normally invoke excitement. However, with Schoolies Festival™ less then 100 days away, the Free MAC Schoolies Festival™ Bus service certainly should! Your schoolies travel will be stress free. The Free MAC Schoolies Festival™ Bus service is all about getting you from your accommdation into the official Schoolies Festival™ and back again stress and hassle free. This way, your feet are fresh to dance the night away with your friends. 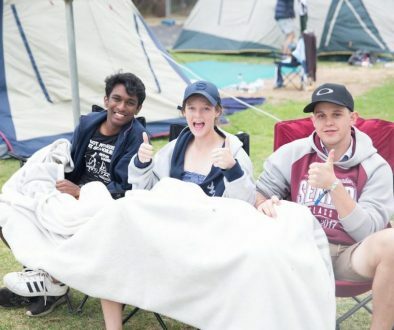 No doubt there will be plenty of schoolies trips in and out of Victor Harbor to replenish snack supplies, and to enjoy the official Schoolies Festival™ itself, but don’t stress about it. Just catch the bus! The Free MAC Schoolies Festival™ Bus service is an essential for all your schoolies travel over the weekend. The Free MAC Schoolies Festival™ Bus service is, as the name suggests, FREE! Your official Schoolies Festival™ wristband is your ticket onto the bus. Simply show the bus driver your wristband and your schoolies travel is sorted! Jump on and enjoy the ride! 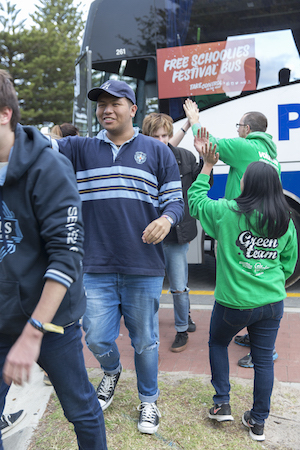 The Free MAC Schoolies Festival™ Bus service runs between Victor Harbor and Goolwa. This schoolies route links Adare, Victor Harbor Holiday and Cabin Park, Victor Harbor Beachfront Holiday Park, Port Elliot Caravan Park, Middleton Caravan Park and Goolwa Camping and Tourist Park to the official Schoolies Festival™ in Victor Harbor. 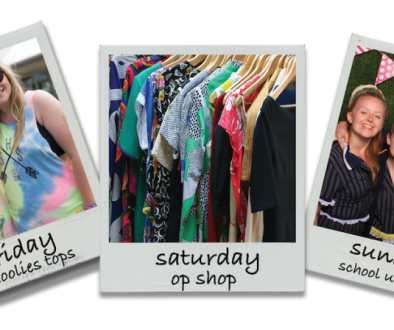 Keep your eyes peeled for the schoolies bus timetable which will give you all the deets of when the next bus will come. Schoolies Bus: How to Book? Did you know that when you buy your official Schoolies Festival™ ticket, you can book a schoolies bus to Victor Harbor from Adelaide and back again for FREE at the same time? Getting to Victor Harbor from Adelaide could not be simpler with the Free MAC Schoolies Bus service providing transport down to Victor Harbor. Just make sure you’ve booked your seat on the schoolies bus to Victor Harbor and leave the rest to us. The bus will stop at all of our Endorsed Accommodation Providers across the Fleurieu from Victor Harbor and Encounter Bay, all the way through to Goolwa. Yep, once you’ve got your spot, total peace of mind is yours. The buses will depart from the Adelaide Central Bus Station (85 Franklin St, Adelaide) on Friday at 10:00am or 2:00pm. Booking a ticket will make all your schoolies travel a breeze! Corinne is one of our Project & Volunteer Managers within the Schoolies Operation. Her role focuses on partnerships with accommodation providers in the Fleurieu, managing the Free MAC Schoolies Festival™ Bus Service and co-developing stakeholder relationships to ensure the school leavers celebration is managed safely. 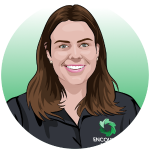 Corinne is also responsible for the recruitment, training and empowerment of the Encounter Youth Green Team volunteers to provide support on the bus service and in the Endorsed Accommodation Provider parks. In her free time, Corinne likes to catch up with friends over a good coffee, practice her Spanish and dream of the next overseas location to visit.